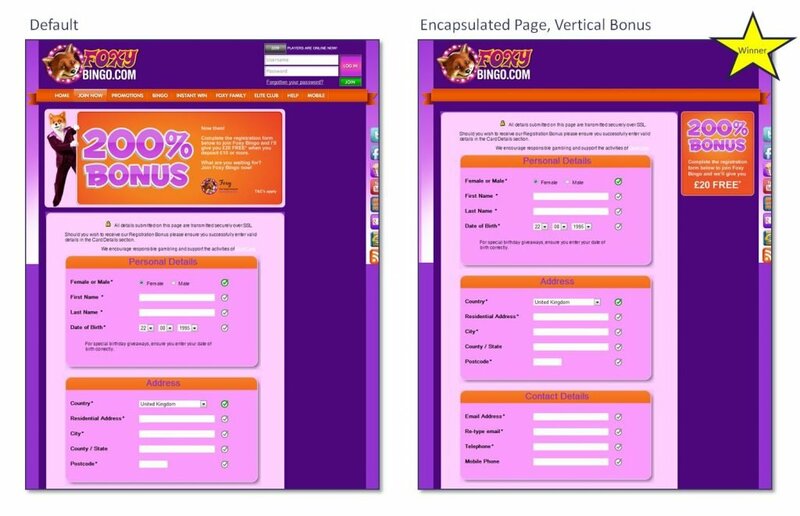 Encapsulation is an attention-driven design approach that uses formatting, directional cues, boxes, colour or shading to frame a form or other conversion element to improve prominence and reduce distractions. It helps provide a clear visual hierarchy for the page which can improve conversion. The example of encapsulation below for Foxybingo.com proved a big success. Together with moving the banner to the right of the form (which moved the form up the page) the variant resulted in a 14% uplift in registration conversion.